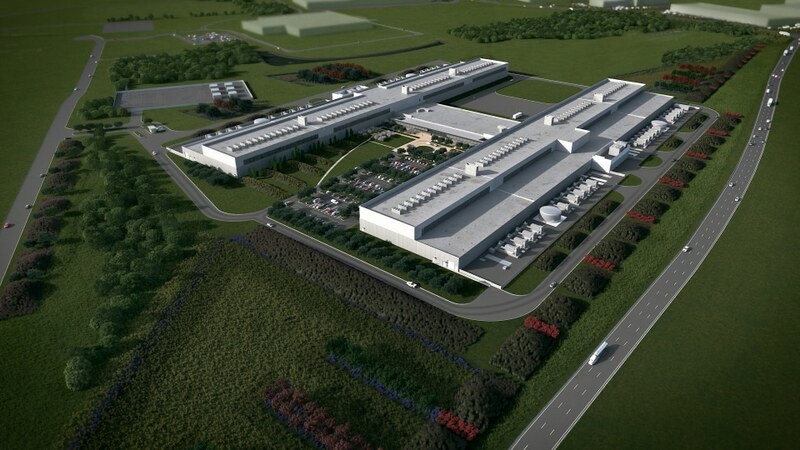 Construction of a new US Facebook data center is well underway at 4500 Like Way in Fort Worth, Texas. Permit information reveals that the development began back in May 2015 under the alias “Project Ernst” reports San Francisco-based BuildZoom, a commercial and residential construction data firm tracking national building permit activity. The Facebook data center aims to be 100% renewable, and has already contributed 200 MW of wind energy to the Texas grid, said vice president of infrastructure Tom Furlong last summer. “Like its predecessors, we expect Fort Worth to be one of the most advanced, efficient, and sustainable data centers in the world. Our continuing work on data center design is an important part of our overall infrastructure efficiency efforts, which have helped us save more than $2 billion in infrastructure costs over the last three years. According to BuildZoom, the project “…has cost $229,719,000 to date, and that’s just the beginning, said a company spokesperson. “ Facebook claims that it will ultimately spend at least $500 million on the project.” Projects of this size are typically flagged by BuildZoom’s platform. According to Facebook, along with its Altoona, Prineville, Forest City, and Lulea data centers, Fort Worth will be one of the cornerstones of the global infrastructure bringing Facebook apps and services to users.